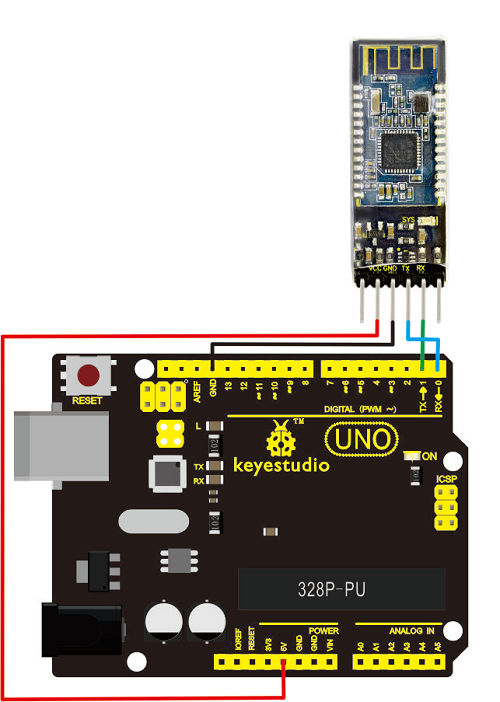 keyestudio HM-10 Bluetooth-4.0 V2 adopts TI CC2541 chip, configuration space of 256Kb. It supports AT command. Users can modify working mode (master/slave), baud rate, device name, paring password, etc. Power consumption: Auto sleep mode, stand by current 400uA~800uA, 8.5mA during transmission. Open APP HC-COM, click search device, select the device, device is connected; the LED on the Bluetooth module is on. 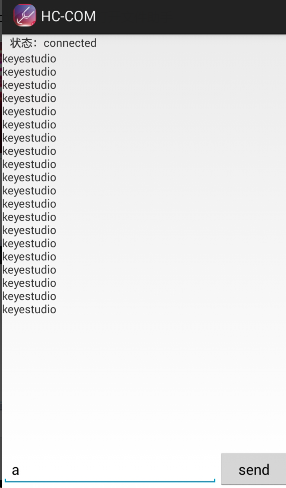 Enter “a” in HC-COM, click send, Bluetooth APP will display keyestudio. Every time HC-COM sends an “a”, the Pin13 LED on the main board blinks once.